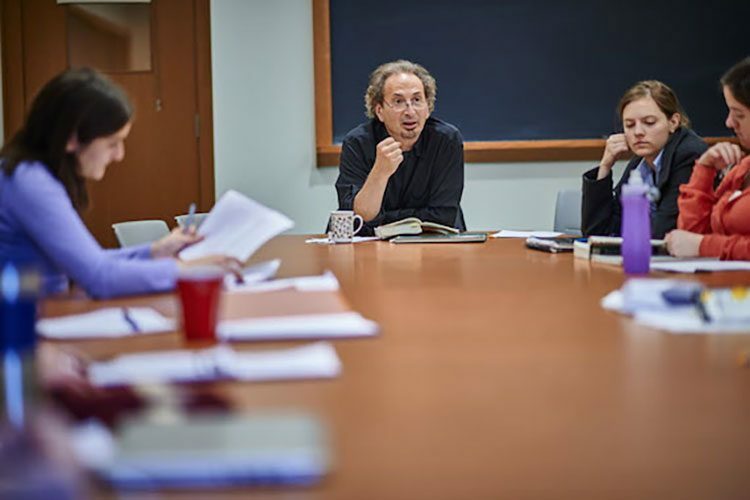 The May 28, 2018, edition of the New Yorker includes the poem “Eggplant,” by Pulitzer Prize-winning poet Peter Balakian, Donald M. and Constance H. Rebar Professor in the humanities and professor of English. Balakian is the author of seven books of poems, including Ozone Journal, which won the 2016 Pulitzer Prize for poetry. Other collections include Ziggurat (2010) and June-tree: New and Selected Poems, 1974-2000 (2001). His prose books include Vise and Shadow: Selected Essays on Lyric Imagination, Poetry, Art, and Culture (2015) and The Burning Tigris: The Armenian Genocide and America’s Response (HarperCollins, 2004), which won the 2005 Raphael Lemkin Prize and was a New York Times Notable Book and a New York Times and national Best Seller. His memoir, Black Dog of Fate, won the 1998 PEN/Martha Albrand Prize for the Art of the Memoir and was a best book of the year for the New York Times, the LA Times, and Publisher’s Weekly, and was issued in a 10th anniversary edition. He is co-translator of Grigoris Balakian’s Armenian Golgotha: A Memoir of the Armenian Genocide 1915-1918, (Knopf, 2009), a Washington Post book of the year.